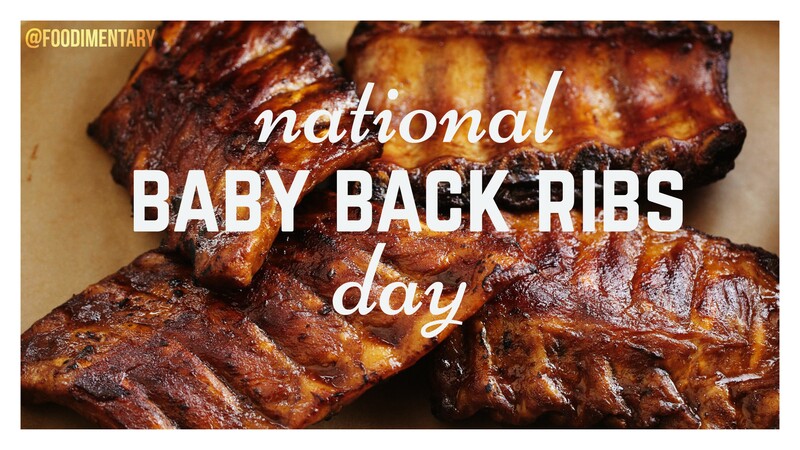 September 3rd is National Baby Back Ribs Day! No one is really sure where the term barbecue originated. The conventional wisdom is that the Spanish, upon landing in the Caribbean, used the word barbacoa to refer to the natives’ method of slow-cooking meat over a wooden platform. Barbecue varies by region, with the four main styles named after their place of origin: Memphis, Tenn.; North Carolina; Kansas City; and Texas. In order to be called “baby back ribs” the rack needs to be smaller than a pound and a half. Pigs have 14 rib bones! They are divided into four popular cuts: spare ribs, St. Louis, rib tips and baby backs. No one knows who invented the barbecue. 1752 This day does not exist, nor did the next 10 days. See September 2 for the explanation. 1875 Ferdinand Porsche was born. He was an Austrian engineer who designed the VW Beetle in 1935. 1881 Lorenzo Delmonico, famed restaurateur died. Born 1813 in Marengo, Switzerland. In 1851 he joined his uncles in their catering and pastry shop in New York. He transformed the business into one of the most famous restaurants in the country. 1912 The first cannery opened in England. It was to supply food to the Royal Navy. 1964 ‘The House Of The Rising Sun’ by the Animals is #1 on the charts. 1966 The last episode of the TV show ‘The Adventures of Ozzie and Harriet’ airs. 1967 Sweden switches from driving on the left side of the road to driving on the right. 1970 Alan Wilson of the music group ‘Canned Heat’ died. 1970 Record Hailstone falls in Coffeyville, Minnesota. It weighed 1 2/3 pounds and measured 17 1/2 inches in circumference. No one is really sure where the term barbecue originated. The conventional wisdom is that the Spanish, upon landing in the Caribbean, used the wordbarbacoa to refer to the natives’ method of slow-cooking meat over a wooden platform.